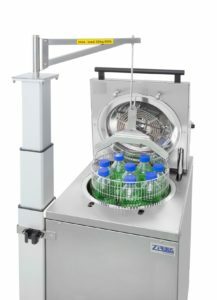 The Laboratory- Vertical- Standing- Autoclaves, short LVSA, are characterized by their low loading height and easy operation. Recommended for the sterilization of simple materials or liquids without removal dry. Recommended for the sterilization of non-infectious waste bags and materials which require intensive subsequent drying. Recommended for the sterilization of large quantities of liquids. Recommended for the sterilization of non-infectious waste bags, large quantities of liquids and materials which require intensive subsequent drying. 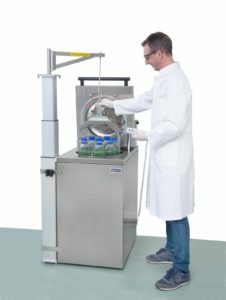 Recommended for the sterilization of non-infectious waste bags, large quantities of liquids and materials which require intensive subsequent drying – this also applies to liquids in closed containers. Recommended for operation in the level S2 lab. Recommended for the sterilization of infectious waste bags and materials which require intensive subsequent drying. Fully equipped laboratory autoclave for operation in the level S2 lab. Recommended for the sterilization of infectious waste bags, large quantities of liquids and materials which require intensive subsequent drying. Steam generator– integrated in the housing of the autoclave. Ensures rapid heating and cooling compared to conventional heating systems. Vacuum pump set– for mechanical removal of air and drying in vacuum. Possible methods include single-stage vacuum, fractionated vacuum, constant or pulsating drying under a vacuum. Lifting and pivoting mechanism – makes loading and unloading of vertically loaded autoclaves easier. The load capacity is 30 kg. Exhaust air filtration– is stipulated for the sterilization of pathogenic substances in S2/S3 laboratories, with inline condensate sterilization. 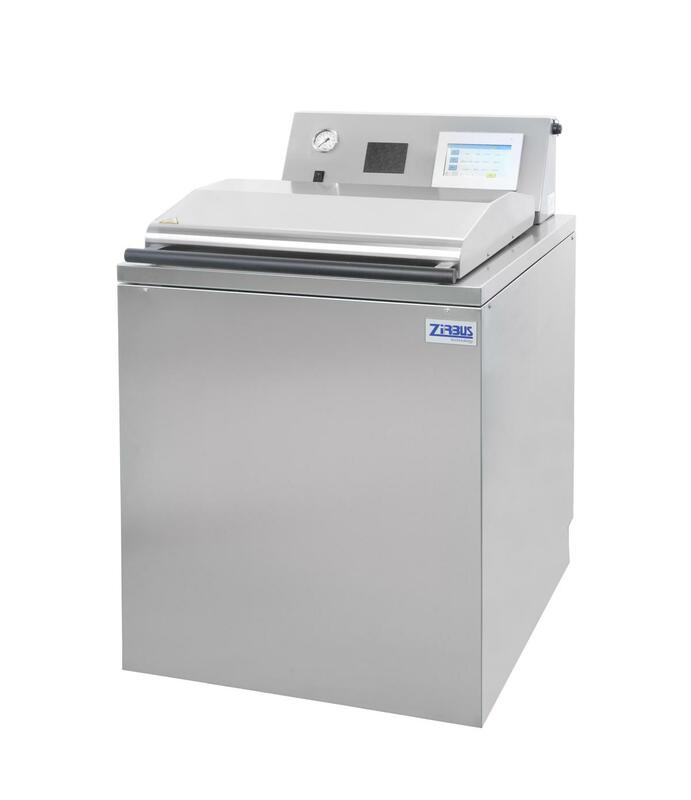 Touch display (SteriTouch control) – enables simple and intuitive operation at the autoclave. In combination with user-friendly software, the autoclave can be operated quickly but also highly variable and simple. 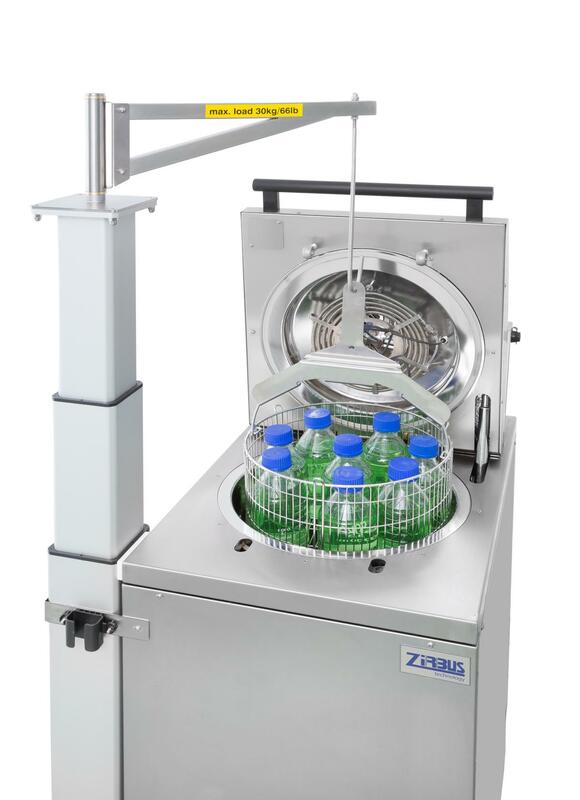 Steam-air mixture method – for the sterilization of tightly closed bottles and pressure-sensitive materials. An additional temperature sensor, air deflectors and a circulating air fan ensure precise temperature control and distribution. Rapid water recooling system with air-circulating fan – allows a shortening of the recooling time by more than 80% compared to the self cooling during sterilization of liquids. This is due to an internal heat exchanger, also known as a “fast cooler”, through which water flows. Accessories – We offer stainless steel sterilisation baskets, pails and containers which fit our various chamber designs. Continue to the Laboratory-standing-autoclaves with up to 700 litre chamber volume.